Inspired by the vibrancy of the Islamic fashion scene Asia Islamic Fashion Week 2017. AIFW2017. is a uniquely designed trade event aimed at showcasing the blend of modest fashion with cutting-edge style that is within the Islamic context. 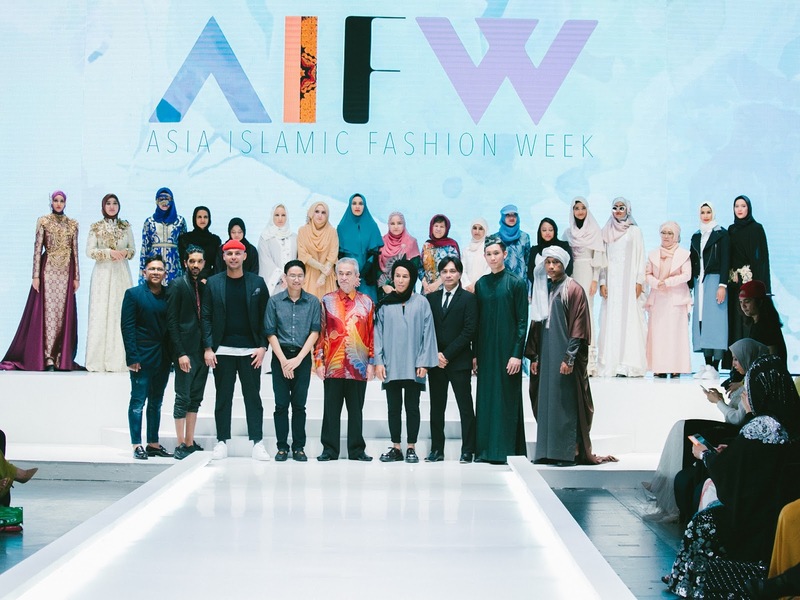 The inaugural event from March 30 to April 2, 2017 takes place at the Kuala Lumpur Convention Centre, With the theme ‘Establishing Asia As A Global Centre For Islamic Fashion’; #AIFW2017 aspires to be the most influential Islamic fashion & lifestyle marketplace in Asia by creating an avenue for the Islamic fashion business community to share their experience and knowledge. Visitors will be spured with multi events such as a Trade Show, Fashion Show, by local and international designers such as Dian Pelangi, Cosry, , Eja Shahril, Adila Long, Ana Abu, Sawdaa Balck lable, Mumu Scarves, Ash&Anas, Padusi Couture, Khalifa by Erman Fatima, Nafyan by Liana Ghaus, Calacara, Rumi, Black Swan Couture (UAE), Barjis(UK), Chenille (UK) , Bulbulia and Amjaad (paris) and many more.